This unique resort takes you into the heart of Africa, and gives you a once-in-a-lifetime view of the animals that live in the savanna. The hotel is located in the Animal Kingdom resort area, and is accessible by bus. Amenities include up-close animal encounters, vibrant African dining, and a pool with a water slide. This New England-inspired hotel exhibits the atmosphere of old Seaside resorts, complete with a Club Level Concierge Lounge and the famous pool, Stormalong Bay. The hotel is located in the Epcot resort area, and is accessible by bus or boat. The resort is a short boat ride away from Hollywood Studios, and is only a walk away from World Showcase, Epcot. Amenities include a sandy beach, lazy river, several popular dining options (Cape May Cafe and Beaches & Cream), and a health club. Inspired by Atlantic City and Coney Island boardwalks, the BoardWalk Inn is a waterfront hotel that features classic carnival games and vibrant night life. The hotel is located in the Epcot resort area, and is accessible by bus or boat. The resort is only a short walk or boat ride away from both Hollywood Studios and World Showcase, Epcot. Amenities include a pool with a water slide, one-of-a-kind dining, and a view of the Epcot fireworks. Disney’s Contemporary Resort is an iconic stop on the monorail, and is home to white-sand beaches and spectacular views. The hotel is located in the Magic Kingdom resort area, and is accessible by monorail or bus. Amenities include a pool with a water slide, a California grill, and easy access to one of the resort’s most popular parks. This Victorian style resort is perhaps the most exclusive on Disney property, and boasts an unmatched view of the fireworks above Cinderella Castle. The hotel is located in the Magic Kingdom resort area, and is accessible by monorail, boat, or bus. Amenities include a world-class spa and health club, impressive pool, and exquisite dining options. Disney’s Polynesian Resort is a tropical paradise resting on the beaches of Seven Seas Lagoon, featuring palm trees, koi ponds, and a vibrant Hawaiian nightlife. The hotel is located in the Magic Kingdom resort area, and is accessible by monorail, boat, or bus. Amenities include a pool with a water slide, a nighttime luau, and spectacular volcano display. Inspired by the American Northwest, the Wilderness Lodge features nature trails and a murmuring creek that bring to mind classic National Park cabins. The hotel is located in the Magic Kingdom resort area, and is accessible by bus or boat. Amenities include a pool with a water slide, thematic dining option, and an incredible fireplace. Similar to its sister resort, the Yacht Club is a New England-themed lakeside hotel complete with a Club Level Concierge Lounge and access to Stormalong Bay. The hotel is located in the Epcot resort area, and is accessible by bus or boat. The resort is a short boat ride away from Hollywood Studios, and is only a walk away from World Showcase, Epcot. 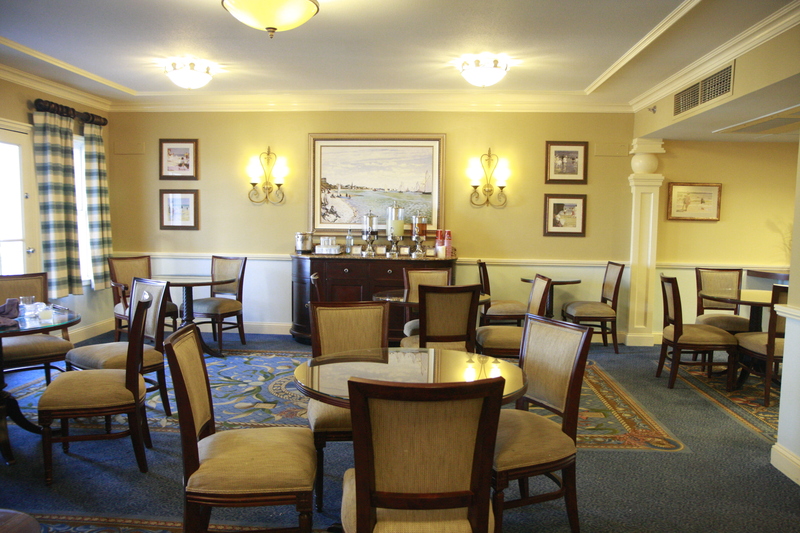 Amenities include a more mature atmosphere than the Beach Club, a health club, and the famous Yachtsman Steakhouse. All images courtesy of disneyworld.disney.go.com. For more information on any of these hotels, please visit the official website.